PARIS (AP) — A French court has convicted a controversial Russian performance artist for setting fire to an office of France’s central bank. A judicial official said Friday that Pyotr Pavlensky was sentenced to a year in prison plus a two-year suspended sentence. However, the judge allowed him to walk free when his trial ended Thursday night because Pavlensky had already spent 11 months in pre-trial detention. He and his estranged wife Oksana Shalygina were ordered to pay 21,000 euros in damages over the 2017 fire that damaged the bank’s facade. 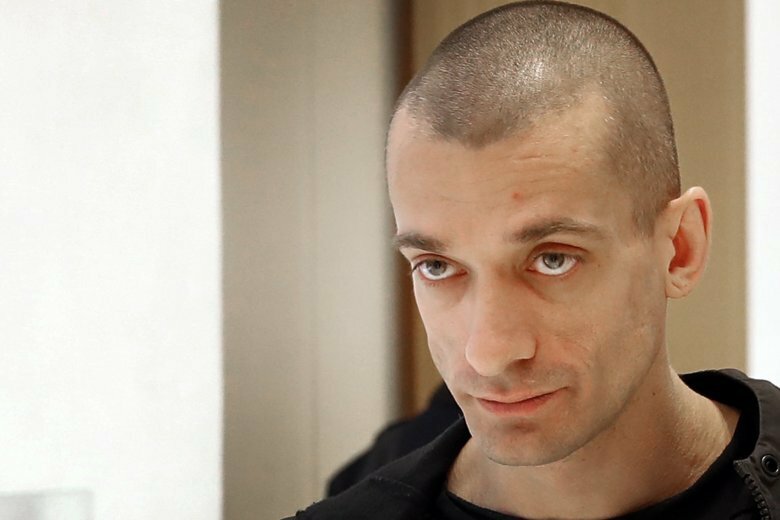 Pavlensky acted out repeatedly during the trial, prompting his translator to walk out. Before leaving Russia, he set a similar fire in front of the Russian federal security agency and nailed his scrotum to Moscow’s Red Square in what he said was a metaphor for Russian political apathy.